A healthy head of hair contains nearly 100,000 hair strands. Losing about 50 to 100 strands of hair every day is only natural; however, if you feel that in your case this number is much, much more, then you need to take preventive action immediately. Not taking measures to stop your hair loss will result in bald patches developing on your head, or worse, you going completely bald over time. There are a number of brands that claim to help with your hair fall problem; however, one can never be too sure about its effectiveness. What if the chemicals they contain make the problem worse? Therefore, it is best to rely on home remedies for hair fall; at least you are sure they are devoid of any chemicals. If you agree with us, then check out these home remedies to help you with your fall. According to a 2002 study, it was observed that out of the entire study group, 74% individuals experienced substantial hair regeneration after multiple applications of onion juice on their scalp. This is because of onion's sulfur content, which improves blood circulation to your scalp, helps hair growth and also soothes an inflamed scalp. Using a muslin cloth, squeeze out all the juice of a grated onion into a bowl. Apply this to your scalp. Leave the juice on for around 30 minutes before you shampoo your hair. 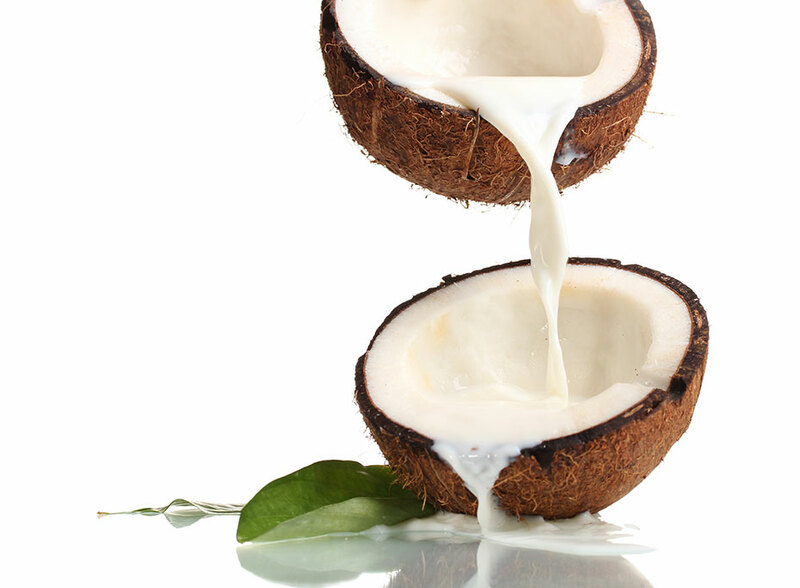 The essential fats and proteins found in coconut milk are extremely beneficial for your hair. The milk promotes hair growth and stops hair fall with quick results. Make fresh coconut milk at home by boiling freshly grated coconut in a saucepan filled with water. Once this concoction cools down, strain and apply the milk to your scalp. Leave it on for 20 minutes before you shampoo it. Aloe vera has certain enzymes and alkalizing properties that help maintain the pH level on the scalp, thereby promoting hair growth. Regular application of aloe vera on the scalp will also add strength and luster to your hair, as also help you get rid of dandruff. Extract the gel from fresh aloe vera and apply it directly to your scalp. Rub it in gently with your fingers. Rinse it off with your regular shampoo routine. Repeat the process 3 to 4 times a week. Also read: Air Dry Your Hair The Right Way For Gorgeous Locks! The cinnamon in this pack helps with the blood circulation to your hair, while honey and olive oil strengthen and lend a luster to your hair. 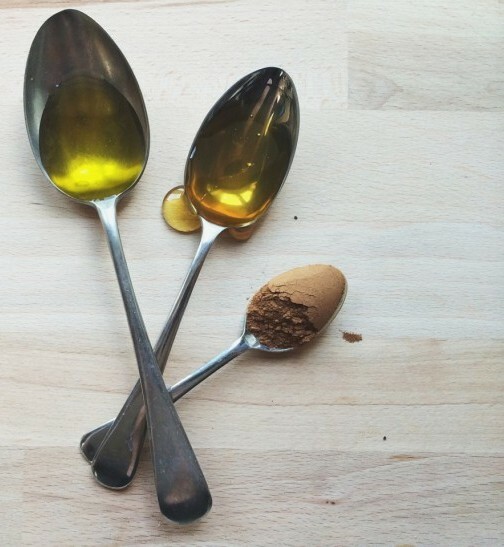 Together, the three are a perfect home remedy for fighting hair loss. Mix two tablespoons of honey with two tablespoons of cinnamon (dalchini) powder and enough olive oil to prepare your pack. Rub this onto your scalp. Leave it on for 15-20 minutes before washing it off. Avoid excessive heat treatments to your hair, as they damage your hair making them weak. This further leads to hair breakage and hair fall. Also, while drying your hair, try not to rub them too vigorously. Also, as long as you can, avoid combing them through while they are still wet. Wait for your hair to dry a little on its own before running a brush through them. It is a well known fact that happy people fall ill less often than those who are constantly unhappy. If you look at it that way, hair fall too is a type of illness. So, don't stress the little things. Be happy and see your hair fall reduce, and then get happier. Too much junk food is definitely not good for your weight, but, guess what?! It's not great for your hair either. Fast foods and junk foods don't contain the necessary nutrients that a well balanced diet ought to. This means that your hair isn't getting the essential nutrients it needs for healthy growth, resulting in hair fall. Hence, eat right!